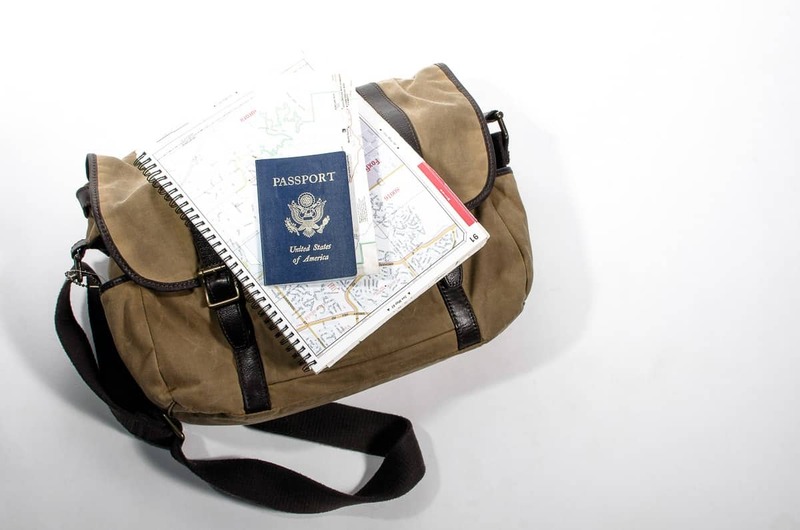 For me, the best travel sling bag (also referred to as a cross body bag) is the perfect way to carry my personal belongings whether I am out sightseeing or traveling to my destination. I have a specific lightweight cross body travel bag that I use whenever we travel and leave my usual handbag at home. In fact all three of us, Andy, Myla and I all use cross body bags when we travel. I however carry the most stuff and I am not 100% happy with my current travel sling bag as it doesn’t quite fit everything in it that I want it to and so have been researching what the current best sling bags for travel are. For me the best sling bag for travel is something that can fit my purse, mobile, and DSLR as well as other odds and ends I need during a day of sightseeing. 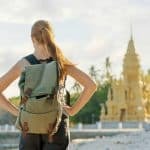 If you are also in the market for the best travel crossbody bag, then you are in the right place, because in this post I share all my research for the current best crossbody bags for travel. In this guide I look at a variety of travel crossbody bags and take a closer look at their various features. I also talk about why you might want to consider a crossbody anti theft bag which has in built security features. 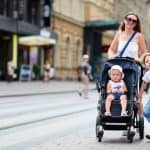 This guide looks at some of the best sling bag brands including as few of the Pacsafe bags and Travelon anti-theft bags, two of the most well known brands when it comes to anti theft handbag options. 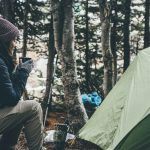 Whether you are looking for the best sling bag for men or women, the best messenger bag for travel or even a sling bag for laptop, this post covers various options and no doubt includes the perfect crossbody bag for travel to suit your needs. 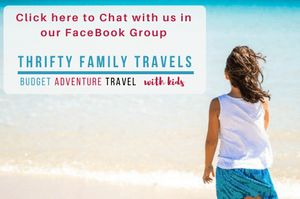 1 What is a crossbody bag and why do I recommend it for travel? 5.11 You have Successfully Subscribed! What is a crossbody bag and why do I recommend it for travel? First of all what are travel crossbody bags (or sling bag) and why do I recommend you use one instead of your usual handbag when you travel? Crossbody bags are bags which have a single shoulder strap, which are designed to be worn across the front of your body. These bags come in a variety of shapes, sizes and designs but are ultimately designed to hold everything you need for a day of sightseeing or whilst you are in transit. Many of the best crossbody travel bags have built in security features to avoid your physical belongings and electronic information from being stolen. Don’t have time to read the entire article? Well my pick for the best travel sling bag is the Travelon Anti Theft Cross Body Bucket Bag. I think for the price and what you get you just can’t go past the Travelon brand and this particular Travelon bag is jammed packed with some great features. Most importantly it is a great size for travelling whether its a day of sightseeing of in transit to reach your destination it will fit everything you want. 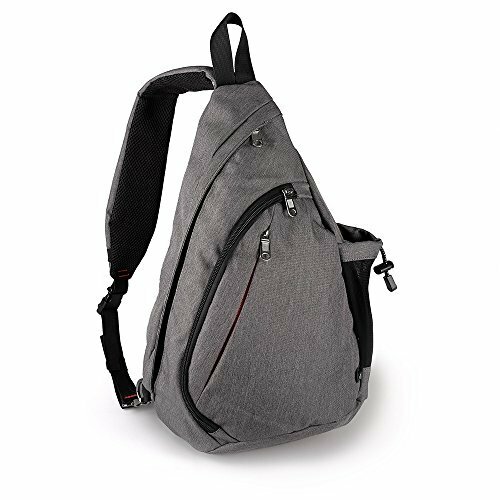 It also has plenty of great built in security features such as locking compartment, lock down down straps, RFID blocking pockets as well as being slash resistant resistant. Keep reading below for more full review on this crossbody bag, or click here to buy now. Australian readers, please click here for more detail on this bag. 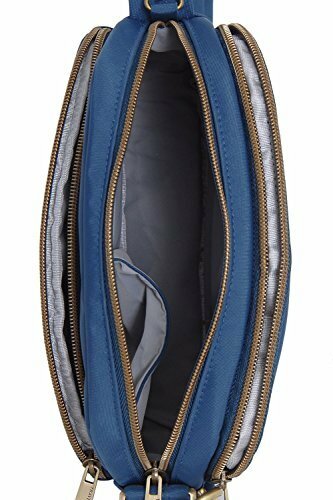 Travelon Anti-Theft Bucket Bag 14" x 10" x 4"
Travelon Anti-Theft Signature 3 Compartment 13.75" x 11.5" x 3"
Travelon Anti-Theft Signature E W 9" x 7" x 3"
What is it that you are going to carry in your bag? This is where I have gone wrong in the past and purchased a bag that wasn’t big enough for everything I wanted to carry. For me I usually carry my purse, mobile phone, notebook, pens, DSLR, extra lens and water bottle. The best crossbody for travel will fit everything in comfortably and still close properly, keeping all your items safe and secure. Ok so you have considered what you want to carry, now consider if these items need their own specially designed compartment? I don’t mind a few compartments, but too many and I can’t find where I have put things. If you are travelling with a laptop or tablet, perhaps you will want one of the sling bag for laptops or a sling bag for ipad? If so, double check what size laptop the bag caters for prior to purchasing to ensure it will correctly fit your laptop. Secret Pockets: Most anti theft crossbody travel bag options have hidden pockets or small internal compartments for additional protection for your most valuable items. RDID Protection: RFID is the same technology that is found in your passport, key cards, driver’s license, smartphones etc which allows you to swipe or tap to pay for items or to be identified. The best anti theft handbags for travel have built in technology that blocks an RFID reader to access your personal information. RFID protection is usually in the form of a special pocket within your bag where you can store your cards to prevent electronic theft. A RFID anti theft cross body travel bag is highly recommended to protect yourself against identify theft. Lock: Some anti theft travel handbags come with locking zippers as well as the ability to lock the bag to a fixed item such as a table leg. Slash proof Construction: Some theft proof handbags are made with super durable fabric which include steel mesh to avoid thieves who use knives to slash open backpacks to physically steal your items. Straps include steel cables to avoid straps being cut. YKK Zippers: Ensure your bag has high quality zippers that aren’t easily pried apart, you also don’t want poor quality zippers that break mid trip and you can no longer close your bag. Water Resistance: A waterproof anti theft bag or even a water-resistant pack will help protect your items from rainy weather or accidental spillages. Crossbody bags come in a range of styles and colours so you can choose a bag that is not only practical, but looks good too. The great thing is many of them come in unisex designs so men and women can carry the same bag. Once you put all your various items in your bag, you may be surprised just how much it weighs. So be sure your crossbody bag has a padded and adjustable shoulder strap to avoid neck and shoulder strain at the end of a long day of sightseeing or travel. Travelon is one of the biggest names when it comes to the best travel handbag options, and the Travelon Anti-Theft Cross Body Bucket Bag is the first of three Travelon travel bags that feature in this list of best sling bags for women and men. This particular Travelon anti theft travel bag provides the highest security for all of your everyday items as well as stylish variations that will compliment any outfit. 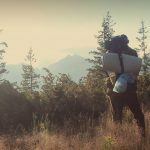 This is also my pick for the best sling bag for travel overall. 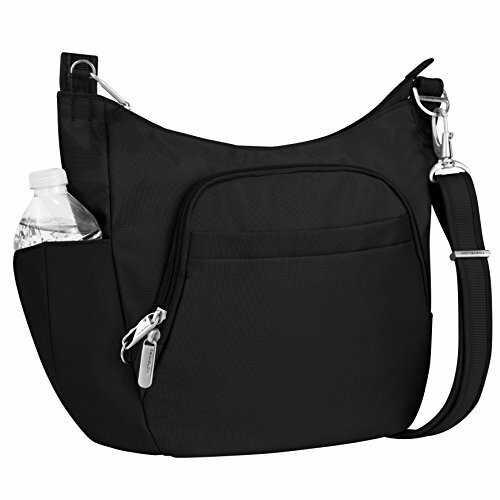 This Travelon shoulder bag is a lightweight shoulder bag providing comfort and security. It offers a slash-resistant body and slash-resistant shoulder strap that can be attached to any chair, post or table. 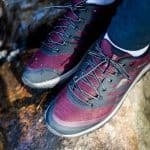 It has two expandable mesh pockets that will fit all you need for a day out exploring, including you camera, a water bottle and a small umbrella. Despite it’s large size, this is also one of the lightest sling bags in this review. A great security feature of this Travelon anti theft travel bag is that it provides RFID blocking pockets. This is perfect to store your credit cards and passports without the concern of any of your information being stolen. 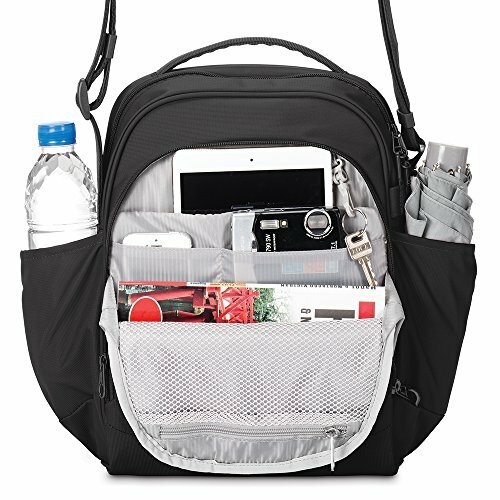 This Travelon anti theft shoulder bag has an interior zippered pocket for extra security and a zip rear pocket with a removable LED light. Travelon has lived up to its name with this best anti-theft sling bag. Perfect for the modern-day traveller, it is extremely functional with top of the market security capabilities and is big enough for everything you could possibly need. Click here for more reviews and to check the price. 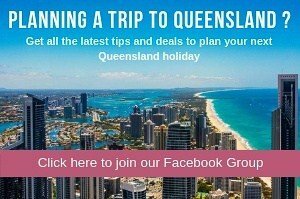 Australian readers click here for the current AUD price. Yet another Travelon anti theft travel bag that contains both amazing security features and the perfect design. The Travelon Anti-Theft Signature Crossbody is the best travel for ladies as it can easily pass as a handbag rather than a travel bag. Certainly one of the cute crossbody bags for travel in this guide. This best travel handbag is lightweight with plenty of room to keep your everyday items organized. The storage of this bag is impressive considering the size, which is why it is highly rated among the ladies! With this travel bag there will be more time to enjoy your next trip instead of worrying about being pickpocketed. It has three locking compartments, with RFID blocking slots in the main compartment as well as an LED light. This crossbody is slash-resistant including the strap, which can easily be attached to a table or chair while seated. The strap is adjustable making it perfect for short or tall people and can be worn over the shoulder or across the body. The Travelon Anti-Theft classic sling bag is not only a good handbag for travel but can be used as an everyday handbag, giving you peace of mind everywhere you go! Australian readers, please click here for the current AUD price. Pacsafe, another big brand name when it comes to the best anti theft shoulder bags for travel. This Pacsafe anti theft bagis a great choice for those wanting one of the best cross body travel bag options with all the security features as well a sturdy build. A great option for people looking for one of the best sling bags for men or sling bag for ladies too. 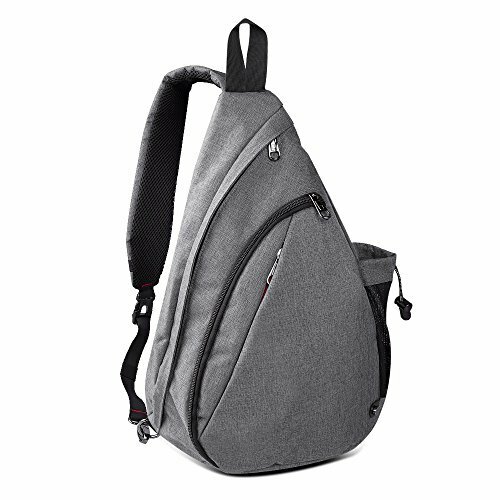 A lightweight yet sturdy build with zippered main and front pockets, this travel sling bag for men or women is very roomy while also looking sophisticated and smart. It is a great sized bag that will fit all your belongings nicely. This Pacsafe anti theft travel bag has hidden eXomesh Slashguard stainless steel wire mesh that is embedded into the fabric which will stop any potential slash and run theft. Like most Pacsafe anti theft bags, this bags has RFIDsafe blocking material to protect your ID and credit cards against hacker scanning and also a Lockabout Security Clip and smart zipper security that provide multiple layers of protection. The lockdown points for the zippers fight off the intentions of pickpockets! 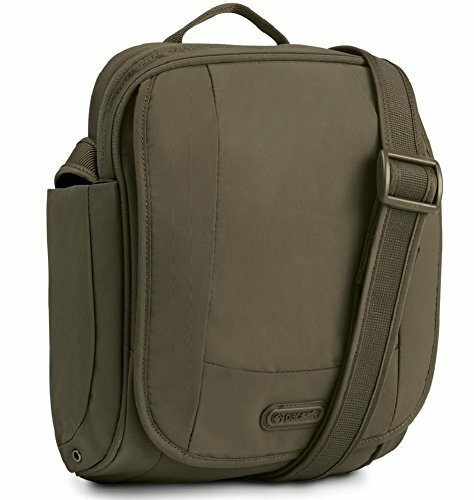 Other great features of this best man bag for travel are the adjustable Carrysafe slash guard shoulder strap, a tablet/11-inch MacBook and the Turn & Lock Security Hook allowing you to attach your bag to a secure fixture. 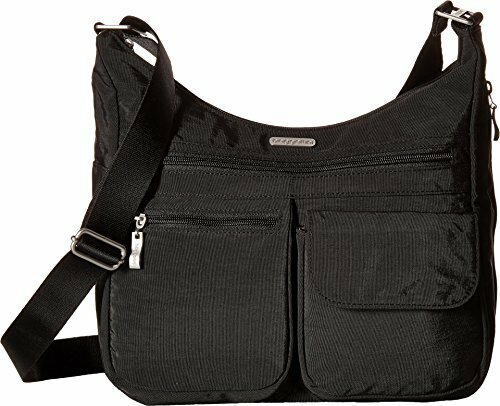 This Pacsafe sling bag for guys or ladies is a great option if you are after one a RFID crossbody travel bags, it has with great security features but will also serve as a great every day bag too. If you are after a simple travel bag and are not overly concerned with the fancy security features, the OutdoorMaster Sling Bag is a great budget option. It is a great alternative to a backpack and is the perfect style for both men and women. The OutdoorMaster Sling Bag is made of lightweight, sturdy material. It is very practical as it contains several different compartments to store all your belongings and more! 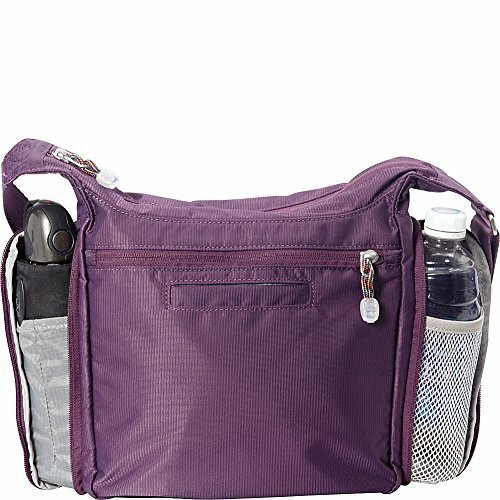 These compartments are equipped with smart pockets, including a hidden anti-theft pocket and a water bottle holder. There is plenty of room for your camera, tablet even a small laptop computer up to 12 inch. 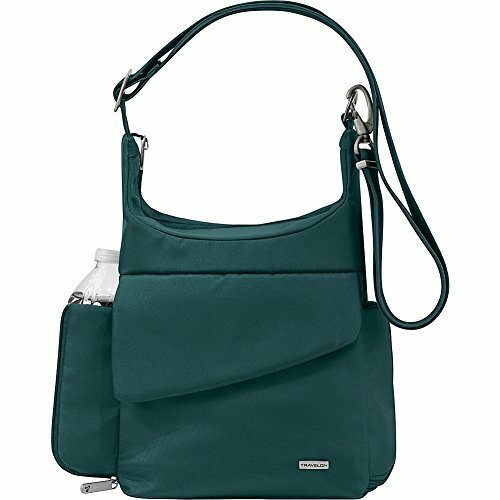 Not only is this one of the great crossbody travel bags for women or for men, the reversible shoulder strap makes it the ideal bag for both right and left handed people. 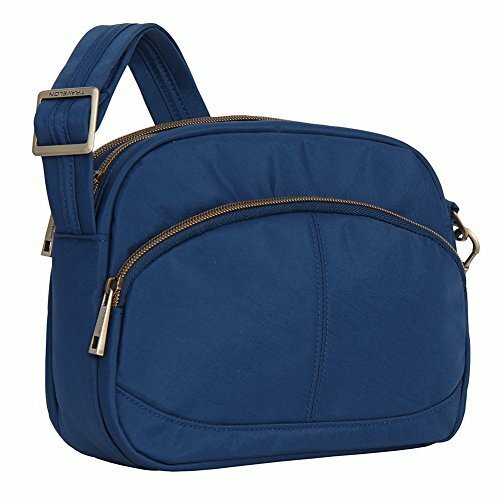 This budget sling bag comes in a variety of colours and is designed to be comfortable as well as durable which is perfect for those long days out and about. 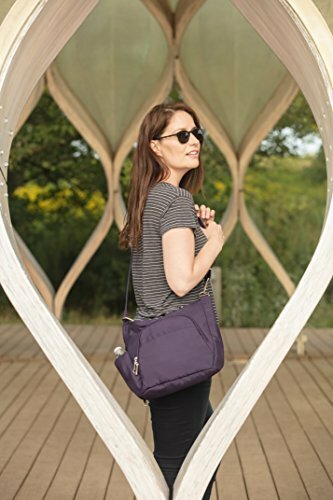 If you are after one of the stylish women’s anti theft travel bags, you will love this Travelon anti theft messenger bag which is available in a range of stylish colour options. 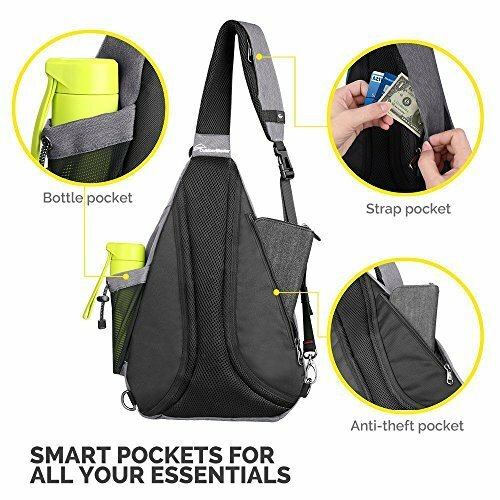 Looking at this Travelon anti theft bag from the outside, you would have no idea how many great security features it has. 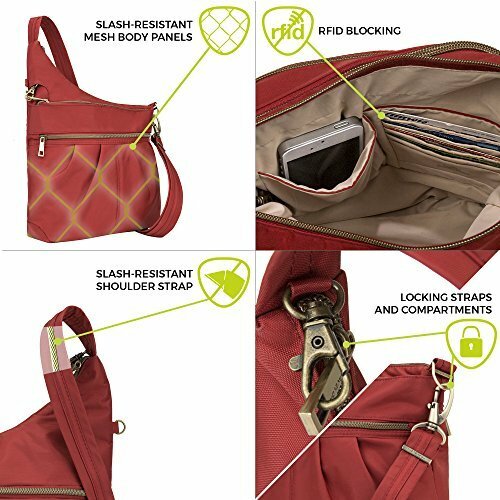 With a rear organiser that has RFID blocking features to protect your cards and passport, along with front zip pocket locks and an adjustable slash resistant shoulder strap, anti theft travel bags for women like this are sure to help keep all your belongings very well protected from thieves. 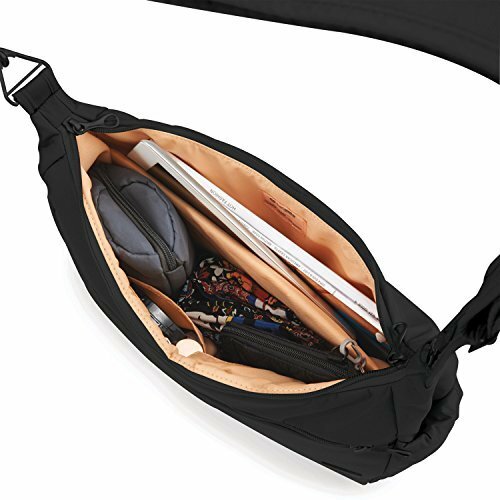 It also has great organisational features such as the 4 wall pockets that are located inside the locking compartment, a pen loop and two mesh expansion pockets that would easily hold sunglasses, an umbrella or water bottle. 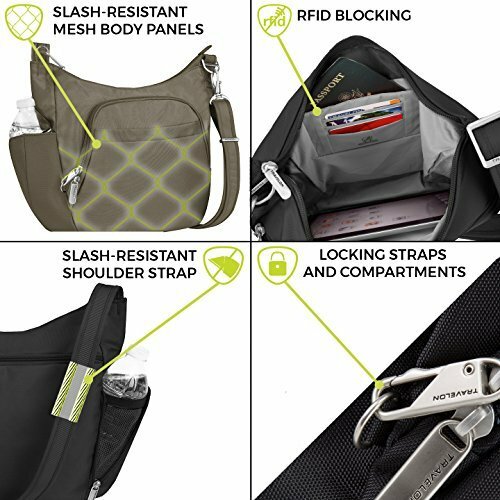 Another great feature of this Travelon anti theft cross body bag is that it can easily be secured to a stationary object to prevent it being involved in a “grab and go” incident. 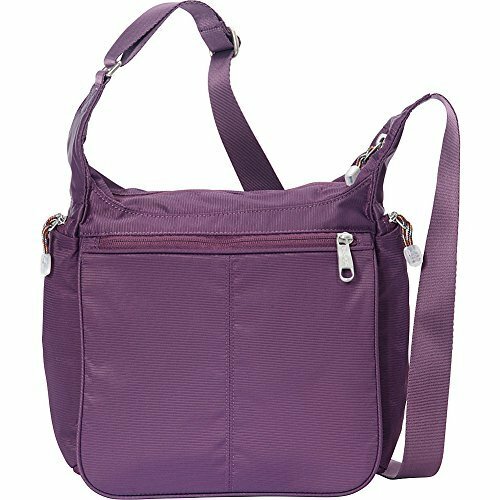 This Travelon anti theft crossbody bag is made from polyester and available in so many different stylish colour options, this is one of the great anti theft travel bags women will love. 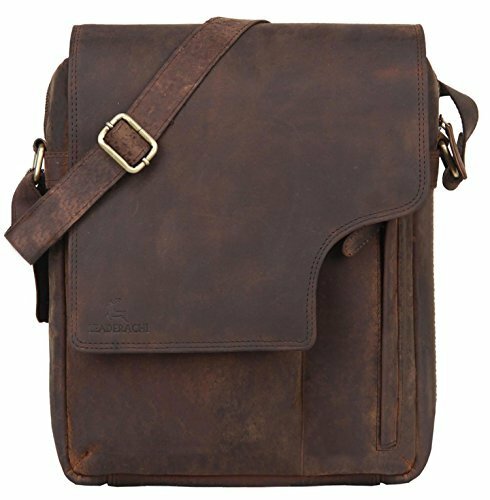 Men and women alike, who are after one of the best leather crossbody bags for travel, will love this Leaderachi messenger bag which is genuine 100% leather and practical for both everyday use and travel. This leather sling bag men and women will both love, has a single large compartment as well as a zipped inside pocket, pen and card holders and and a padded zip pocket on the back. This bag is big enough for everything you need during your travels including your phone, wallet, ipad, camera, passport and more. Constructed from 100% semi full grain boot leather, not only is this bag practical but it is super stylish as well. Hand made by skilled craftsmen, this bag is made with high quality finishes including double stitching, brass/metal fitting buckles and holders as well as being fully lined with green canvas to ensure that bag is durable and long lasting. Other features of this leather sling bag for women and include adjustable shoulder strap and leather flap with magnetic closure. This is a super stylish bag that the fashion conscious male and female traveler will just love. 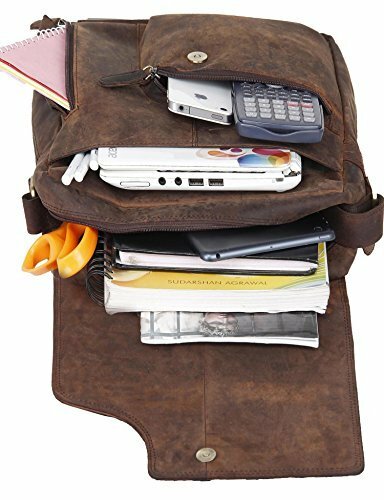 eBags have made some solid improvements to the Piazza Daybag. The durability, functionality and organization of the Piazza 2.0 are top of the range. It is a great bag for travelling as there is a place for everything and not to mention lightweight! 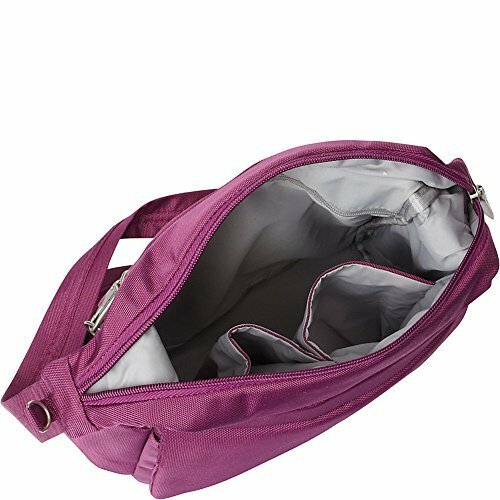 This eBags sling bag contains three flat zip back pockets and two side pockets, which expand enough to fit two bottles of water (one on each side). There is also a perfect little drop pocket in the back to fit a large smartphone. The main security feature is the RFID protected pocket. There are card slots that you are able to place your credit cards and passport. However, the full pocket is lined with protective material in case you need to quickly drop the item and zip the bag. As mentioned above, this bag is very durable with water-resistant fabric and premium self-repairing YKK RC coil zippers. It is sure to last whether it is for your everyday use or for countless trips around the world! Inspired by the classic boho style the Baggallini Everywhere Crossbody Bag will have you travelling in style. 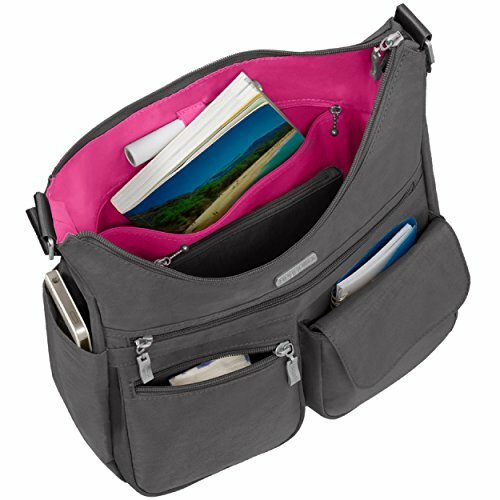 It is a functional cross body bag that will keep your items organized and secure. The bag itself is made of water-resistant nylon fabric, so there is no need to worry about personal items being destroyed on rainy days. It will also keep credit card and passport information secure as it is fit with RFID blocking technology. This boho tote is lightweight and doesn’t disappoint when it comes to the interior. It offers compartments for all your belongings as well as exterior pockets to keep important items at your fingertips. The strap is secure and adjustable. You can choose to make it short and wear it as a shoulder bag or make it as long as needed to fit comfortable across the body. The Everywhere Lightweight Crossbody Bag is very popular among women due to its stylish design and colour options. It is extremely versatile as it is great bag for daily use if you are not travelling on a regular basis. Pacsafe travel bags make some of the best options for anti theft cross body handbags and this Pacsafe Citysafe CS200 bagis no exception. This versatile bag is jam packed with added security as well as having superb organisational features. Although still very lightweight, this is an eXomesh bag meaning it has hidden stainless steel wire mesh that is embedded into the fabric and the adjustable Carrysafe Slashguard Strap is wire-reinforced also helps to protect against slash or cut and run theft. Like most Pacsafe travelsafe bags, these crossbody travel handbags have built in RFIDsafe Blocking Material which will protect your ID and credit card information from would be hacker scanners. Inside the Pacsafe anti theft shoulder bag is a padded compartment that would fit an iPad mini or tablet which helps to ensure it is protected against the knocking and banging of daily use. The main compartment and front pocket of these Pacsafe handbags are zippered for extra security. Other great features of these Pacsafe anti theft bags are the Turn & Lock security hook, allowing you to secure the bag to a stationary object, and the ability to attach to zipper pullers to security hooks. 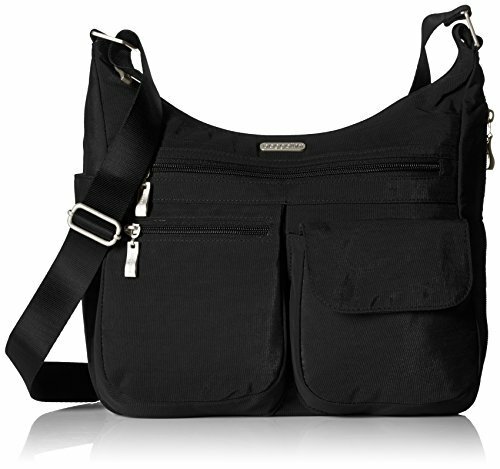 This Pacsafe shoulder bag would be perfect handbag for travel and also an every day handbag. If you are looking for a bag small in size and lightweight, plus contains all the security features Travelon is known for, the Anti-Theft Signature E W Shoulder Bag is the one to choose. There are two locking compartments leaving no chance for pickpockets. The front compartment comes with RFID blocking card and passport slots. 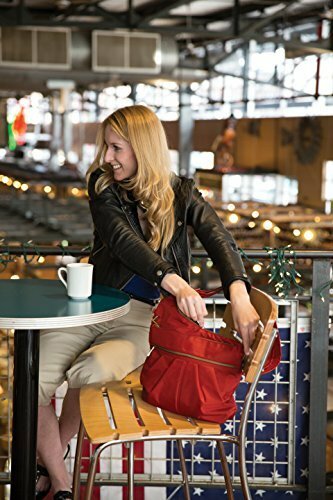 For complete protection and ease of mind the bag is slash-resistant, including the strap that is also adjustable and can be locked to a table or chair. There is a front zip pocket that contains a key clip and an LED light; however, keep in mind there is no lock. 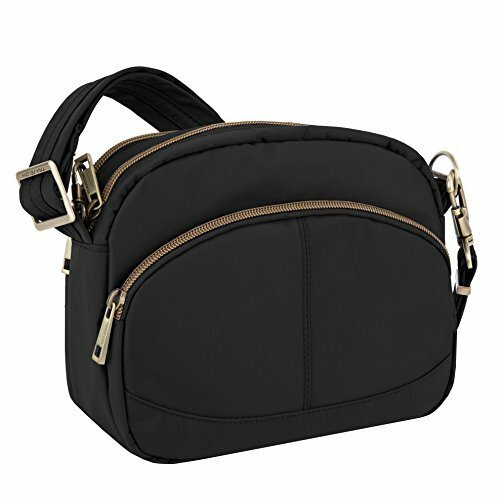 This shoulder bag provides plenty of room to fit all the essentials and to stay organized which is perfect for travel. With the many colours to choose from and affordable price, this is a great bag for the regular traveler. Do you struggle with packing lightly? 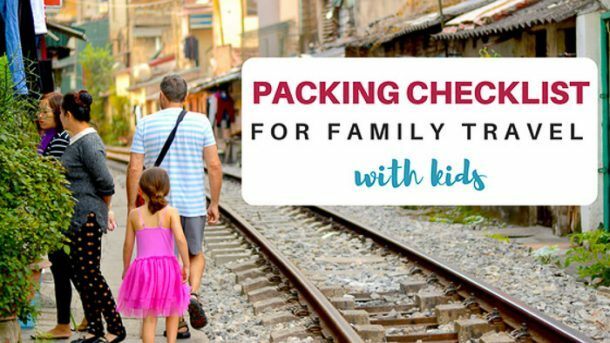 Click here to read our light travel packing tips and download your very own printable checklist. 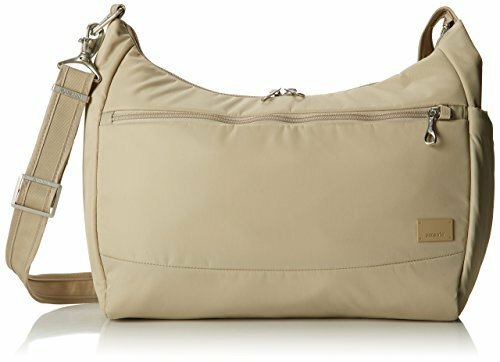 These are great travel sling bags & handbag… I loved the master Sling bag. Visit our T-traxx bags website for executive bags. Thanks guys – why not send us an email and we can chat about trialing some of your bags?